Lotus Rx was founded in San Francisco, California in 2016 as the first product line by Lotus Clinical. The idea for a salon formulation prescription strength dandruff shampoo first originated when I began straightening my hair with keratin treatments. At the time, I was already alternating dandruff shampoo alongside sulfate free products in the hopes to control my flaky, itchy scalp, while still preserving salon hair color. After my second keratin treatment, my search began for an everyday shampoo that wouldn’t strip the keratin and color and also control my dandruff. I quickly realized the options for a prescription strength dandruff product were severely limited. My biology background, laboratory training, pharmaceutical development experience and business degree all led me toward creating this much needed product. 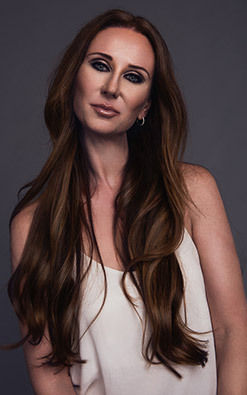 Thus was born the idea to create Lotus Rx Hair Solution. When I first told my Mom that I was going to design my own shampoo / conditioner line, she said, “of course you are, it’s in your blood”. 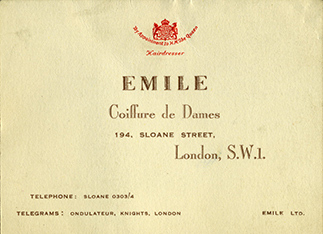 My grandfather was a ladies’ hairdresser in the forties and fifties at the elite Emile’s salon in London and on commission to the Royal Family. My grandfather mixed up all his own shampoos and hair pomades using botanical ingredients, such as lemon and chamomile. My intention is to follow in his footsteps and make my hair products using only natural and sustainable ingredients. Lotus Rx was created with the idea of simplicity, purity, balance and harmony in mind. The name comes from the magical Lotus Flower and it’s healing properties. When my Mom was initially battling breast cancer and had her first remission, my sisters and I asked her where she wanted to travel to and what did she want to see. We were thinking Egyptian pyramids or Turkish mosques. 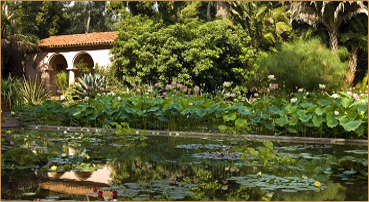 She chose Santa Barbara and the historical Lotus Land Gardens. She wanted to see the majestic lotus rise from the depths of the bog. That day, surrounded by beauty in the lush water garden, the feeling of power to heal and combat adversity prevailed. We were enveloped by the lotus and its’ amazing ability to flourish and push forth. The blue lotus symbolizes the victory of the spirit and the wisdom to use knowledge. I believe these are the core beliefs to start with in creating any product intended to help people.